What is technical content writing? 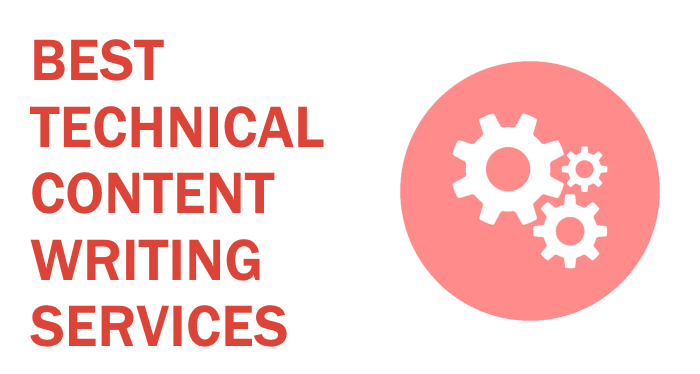 The goal of technical content writing is producing texts which can convey precise messages pertaining to various fields such as engineering, computer hardware, software, and so on. It aims to simplify topics related to these specialized fields and make them more accessible to the general audience. It is written in a formal tone, with the greatest emphasis placed on delivering its message concisely and clearly. As such, there is no artistic flair or complex stylistic expressions present in these texts, as they would serve no purpose but cause potential confusion among the readers. Technical writing covers several types of technical texts such as instruction manuals, white papers, press releases and case studies. As mentioned before, it seeks to simplify and explain complex topics in order to make them easily understandable by the average person. For example, a detailed explanation of a laptops inner workings would count as technical writing, whereas a general review of its features would not. When seeking the services of a technical writer, you need to be absolutely sure of their competence and professionalism, given the nature of technical writing tasks. Several companies and a large number of freelancers are offering technical writing services, either as a primary or a secondary service. In order to make your search easier and save you the time of conducting your own research, we are here to do that for you. The most important factors when it comes to choosing a good technical writer to suit your needs are quality and expertise. Pricing is a secondary factor here, given the nature of technical writing where the aforementioned content quality and expertise in the field are a priority. Listed below are 10 websites that offer the best technical content writing services, each one carefully evaluated and ranked for your convenience. Fiverr is perhaps the most versatile freelancing platform out there. The sheer number of options on the site’s homepage is overwhelming. Freelancers in almost every line of work can be found here – design, software development, animation, legal consulting and pretty much anything anyone might need. Naturally, writers of all niches including technical writing can be found here as well. While Fiverr’s versatility in terms of accessible services is a plus in some situations, it can actually be a downside in others. As the saying goes, a jack-of-all-trades is a master of none. Fiverr is not focused on writing, which can make finding a qualified writer for your project somewhat difficult. It’s filters and customer reviews are not as detailed as those on more specialized freelancing platforms, thus leading to greater inconsistency between different writers. Therefore, Fiverr takes the spot number 10 on this list. 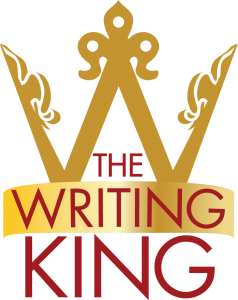 TheWritingKing is a blog run by Richard Lowe Jr, a former IT manager for a total of 20 years who quit his job in order to pursue a career in writing and fulfill his dream of becoming a professional author. Mr. Lowe offers an impressive range of writing services and a number of achievements in the industry. He has published 63 books and ghostwritten 12 during his career as a writer, both literary works and guidebooks. Even though he has an impressive number of accomplishments to show, TheWritingKing’s prices are quite high for someone who is not a specialized technical writer. Due to this, TheWritingKing remains at the 9th spot. Founded as far back as 1980, TechWriters has seen a period of rapid growth after 1995, when computers started becoming an integral part of both professional and everyday life. Currently, they employ hundreds of certified technical writers, ready to provide top quality technical content. They specialize in computer hardware and software, including all the major programming languages. The company’s impressive client list, including giants such as AMD, Apple and Panasonic, gives you the exact idea of how experienced and reliable a company TechWriters is. The company’s specialization and years of experience combined with affordable pricing make it one of the better technical writing companies you can turn to, but its high prices place it 8th on our list. Another one of the well-established and versatile freelancing platforms, Freelancer is a good choice when it comes to finding competent technical writers. Currently the world’s largest freelance marketplace, it has over millions of registered users all around the globe. When it comes to technical writers, over a thousand freelancers can be found here, all of whom are evaluated by a number of customer reviews. Freelancer’s main shortcoming is the lack of more detailed filtering and sorting options for browsing writers. While the selection can be narrowed with tags and custom price ranges, it would still be desirable to be able to sort a large number of writers when it comes to specific factors like customer ratings or work experience, the former being especially important when it comes to choosing adequate freelancing services. 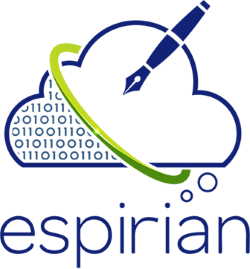 John Espirian is a highly qualified freelance technical writer with years of experience behind him. He has received recognition and several awards since the establishment of his blog Espirian in 2009. To further show he is not all about empty words, he has numerous testimonials to show, including recognizable names such as Virgin Media and Fujitsu. While Mr. Espirian’s competence and professionalism cannot be disputed, it is his prices that will discourage prospective clients from employing his service. If you can afford it, John Espirian is definitely an excellent choice. However, since most people would simply find his prices too high, Espirian remains at the 6th spot on our list. Formerly known as Elance, Upwork is one of the best known freelance platforms out there. Freelancers from all lines of work can be found marketing their services here. These cover anything from software development and graphic design to a number of specialized writing services, technical writing included. The platform’s reliable system allows you to easily find writers who suit your needs. Customer reviews, specialization tags and extensive background information presented by writers are all there to help you make an informed decision about who you hire. Upwork is a very solid choice for seeking competent technical writers, and it places 5th on our list. We have written a detailed review about TextMaster, which you can check here. Created in 2011, TextMaster has since become one of the leading companies in the fields of content creation and translation. Their highly qualified team of writers is capable of delivering quality content of all types in short amounts of time, and in a large number of languages other than English. This makes them an excellent choice when seeking technical writing services. TextMaster is user-friendly and easy to navigate. They offer their services in over 50 languages, which makes them a prime choice for anyone who needs technical content in a language other than English. On the downside, seeing as their prices are strictly on a per word basis, they can ultimately add up to a quite hefty price. This can be a problem, especially when it comes to lengthy technical documents. Ultimately, TextMaster places 4th on this list. Writology is unique among freelancing platforms as it combines a freelance marketplace with a professional writing service. It was set up in 2010 by an experienced team of writers with a goal to create a platform which would present an ideal opportunity for writers and customers alike. When placing an order, the customer has the option of either opting for Writology’s professional writing service or a freelance writing service. Hiring a professional means that one of Writology’s own writers will handle the order, ensuring maximum quality and optimal customer support. On the other hand, hiring a freelancer means potentially lower prices and more customer involvement in the project. Additionally, the customer can either pick a specific freelancer writer themselves based on public ratings, or have the Writology staff pick one for them. All in all, Writology is an all-in-one deal, bringing both professionalism and versatility to the table, landing it on the 3rd spot. We have written a detailed review about WriterAccess, which you can check here. When it was founded in 2010, WriterAccess quickly established a reputation as one of the best freelance platforms for writers. They offer top quality content and allow their clients an extensive number of options for customizing their orders. This includes very flexible prices, a number of additional services and the way a writer will be chosen for the ordered content. Obviously, WriterAccess offers excellent quality as one of their primary strong points. The problem when ordering technical documents from WriterAccess is the pricing which, while it is very flexible, can ultimately go very high for the 6-star quality writers which are best chosen for a task like technical writing. Due to this, WriterAccess takes up the 2nd spot on the list. Express Writers is a company employing a number of in-house professional writers with a goal of providing only the best quality content to its customers. When it comes to the niche of technical writing, their expert writers with extensive background knowledge of numerous industries are capable of delivering top quality content at considerably lower prices than their competition. Express Writers fulfills the two most important requirements when it comes to technical writing – quality and expertise. Generally, they are more expensive when it comes to regular content than their competitors, but are actually among the cheaper options in this particular niche. Because of the company’s professionalism and relatively low technical writing prices in addition to the consistency which comes with in-house writing companies, it places 1st on our list. This was a list with the best technical content writing services on the Internet.